“Our history is not written, it is drawn: we tell you stories, we tell you about our life.” Jivya Soma Mashe. The current exhibition on display in the Museum’s Front Room Gallery greets you with sunny yellow walls and delicate lace-like paintings, but it’s the stories behind the art that have inspired friendship and learning that transcends geographical borders. 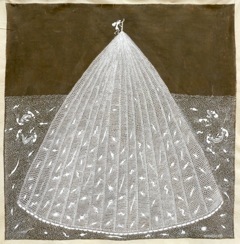 The Tales We Tell: Indian Warli Painting presents a rare insight into contemporary Warli painting. The Warlis are an ancient tribe from the Thane district of Maharashtra state in west India. Drawing on a store of tribal memory, myths and everyday life, their painting has evolved from restricted ritual drawings into an applied art in a process of transition. Warli art has had little exposure in the UK. Traditionally it is an art form practiced by women using rice paste on the mud walls of houses as part of seasonal rituals. Since the intervention of government officials in the 1970’s, the practice moved off the walls onto canvas and paper and is now mainly undertaken by men as a more portable creative practice from which an income can be derived. The exhibition profiles Jivya Soma Mashe and Ramesh Hengadi: Mashe as the recognised father of modern Warli painting and Hengadi as a follower who has developed his own distinctive style in response to the changes in community life and shifts in local and global economies. 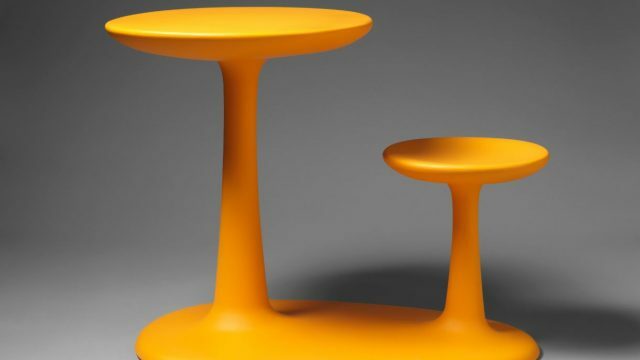 Hengadi has participated in a series of international artist exchanges between India and the UK. Complementing the canvases from A Fine Line’s collection sits a large fishing net sculptural installation created through a visual exchange project between India and the UK. The Warli tribe follow an oral tradition where knowledge is passed down the generations through songs and tales. Their distinctive narrative paintings form an intrinsic part of this storytelling, depicting scenes that tell us about their beliefs and legends, the rhythm of daily life, the cycle of the seasons, their joys and sorrows. 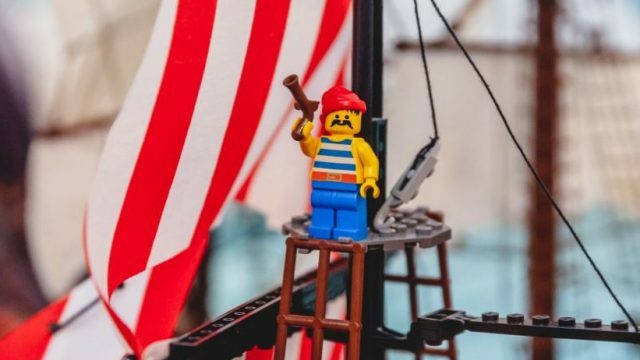 It is a language beyond words, communicating visually, making it an accessible tool for telling stories that can cross communities and continents. 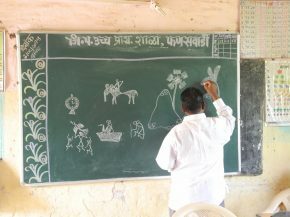 Since December 2014 a small group of Year 3 children at Redlands Primary School have engaged in a visual dialogue with twenty five children at Ramesh Hengadi’s home village school in Bapugoan, Thane, India. They have told each other stories about their lives in pictures, sending and receiving paintings, postcards, photographs, that offer a glimpse into their different worlds. 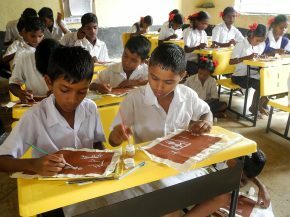 The pupils in India have worked with Ramesh Hengadi and Lokesh Ghai painting scenes of their environment, school, home, work, play. The children at Redlands School have worked with Teresa Hare Duke and Helen Kelly, copying the Warli style motifs and replying with mirror images of their own lives. The distinctive narrative flow of Warli is highly detailed and intricate but also easy to decode and read. 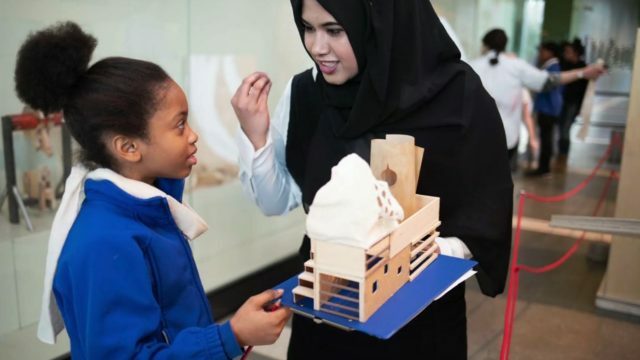 In sharing stories about their rural and urban worlds they have developed a shared visual literacy which has extended their ability to ‘draw stories ‘. 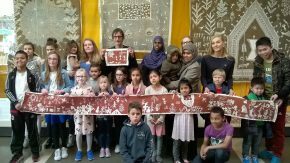 The pupils at Redlands School have shared their new painting skills with their classmates to create an installation that re-tells a traditional Warli legend. The tale of the ‘Bhoum’ is a cautionary tale about the destruction of the world because of overcrowding. A tale that holds the promise of regeneration, with a new world created by the ants who have saved the seeds of all living things to replant. The story has evolved through the pictorial exchange. The fishing net above contains the ‘matter of life animals, plants, buildings, people. The canvas below represents what should be salvaged for a new world. With generous support from the Helen Hamlyn Foundation, we hosted a residency by Warli artist Ramesh Hengadi and facilitator Lokesh Ghai. 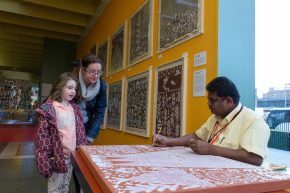 During March and April 2016 they were resident in the museum, conducting Warli demonstrations in the gallery and creating new canvases for display. The Tales We Tell: Indian Warli Painting is on display at the V&A Museum of Childhood until 1 January 2016. I am very impressed by the warli paintings.I would like to learn from warli artist.kindly let me know the original artist where I can learn.would like to help too to paint on walls.